On the surface, the Paul family are living the liberal, middle-class Scandinavian dream. Max Paul is a renowned sociologist and his wife Katriina has a well-paid job in the public sector. They live in an airy apartment in the centre of Helsinki. But look closer and the cracks start to show. As he approaches his sixtieth birthday, the certainties of Max’s life begin to dissolve. He hasn’t produced any work of note for decades. His wife no longer loves him. His grown-up daughters – one in London, one in Helsinki – have problems of their own. So when a former student turned journalist shows up and offers him a seductive lifeline, Max starts down a dangerous path from which he may never find a way back. 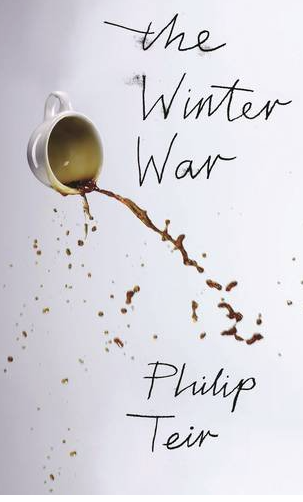 The Winter War is Philip Teir’s first novel but already he’s been hailed as one of the most important young Finnish writers. In a press release, which announced the translation of his book into English, I saw him mentioned as a Swedish author. That’s a bit embarrassing. Philip Teir is part of the Finland Swedish minority in Finland. He writes in Fenno Swedish and his book has been published by a Swedish publisher, nonetheless he was born and lives in Finland. The title of the book is symbolic and alludes to the Winter War (Talvisota in Finnish – Vinterkriget in Swedish), in which Finland fought against Russia, after having been invaded by Russian forces in 1939. In the book however, the war is mentioned but it isn’t a topic. The major topic is the end of a marriage, embedded in a family story. I wasn’t so keen on the book at first, because I wasn’t keen on the first narrator, Max, but the book alternates between four narrators: Max, his wife Katriina, and the daughters Helen and Eva. As soon as the book started switching to other narrators, I found it very captivating and was even a little sad when I finished it. Max is a sociologist and when the book starts he struggles to write a book on Edvard Westermarck. He’s just turning 60 and about to start an affair with a much younger woman. Katriina is on her way to the Philippines to recruit nurses. When she finds out about the affair, he reaction is not exactly as Max imagined it would be. Helen is working as a teacher and has assigned her class to read a novel on the Winter War. When their grandmother has a stroke, it hits her the hardest. The youngest daughter, Eva, lives in London. She studies at an art school and meets people who have joined the Occupy movement. Teir is a journalist and at times you can feel that. He even indicates his sources at the end of the book, names the authors and ideas which have influenced him. The result is a book that feels uncannily life-like and contains a lot of interesting ideas. I didn’t know Edvard Westermarck but he sounds like a real pioneer and fascinating person. I also enjoyed learning more about the Occupy movement. The thoughts on contemporary art were just as captivating. The Winter War tells the story of a family in crisis. Each member is unsettled by something and has to make decisions. Not only about marriage and divorce but about choices of profession, ideologies and ways of life. I was wondering how typical this family was. They live together and come together for important things like birthdays, the illness of the grandmother, the marriage of one daughter, but they each seem to live a completely independent life and have the most profound experiences on their own. What I liked is that the person who seems the most fragile and directionless is ultimately the strongest and sanest. Maybe Teir wanted to say that those who think they have to make decisions that last a life time are the least suited for our society and only those who embrace flexibility and change are capable of navigating contemporary life and its difficult choices. Teir has been compared to Jonathan Franzen and I can see why. There are similarities. I enjoyed reading this novel and if you like Franzen, you should pick it up. The Winter War is a highly entertaining, charcater-driven novel of ideas; just don’t expect stylish writing, elaborate descriptions or strong atmosphere. I’ve read the German edition of this book. Finland was the guest of honour at the Frankfort book fair 2014 and Teir’s was one of 120 new translations. I bought a few more and hope to review them soon. Sadly most haven’t been translated so far. I like the German cover and the paper they used for this edition is simply gorgeous and lovely to the touch (Munken Premium). I hope you’ll like it. I thought it was so entertaining. I’m delighted to know you liked this, as I’ve just been sent a review copy (in English). I’m now looking forward to it very much! Ohh, that’s great. I hope you’ll read it soon. I’m very curious to hear what you think of it. At first I found the writing a bit bland but then it really sucked me in. This sounds really excellent and it is being published here next month. 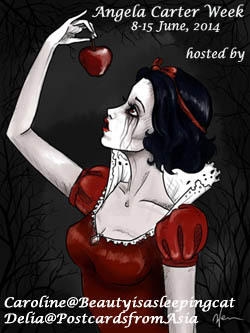 I will be adding it to my wishlist and hopefully my library will get it eventually! Someone just recently was talking about Jonathan Franzen and how much they like him–I have yet to try him and so pulled out The Corrections, which maybe I will read over break (but I seem to be stuck on my in progress books at the moment). Anyway–something to look forward to. I liked The Corrections. I know not everyone agreed that he is a great writer but I think he’s got a lot to say. He isn’t artful. Teir isn’t artful either (in his sentences and style) but after a while I forgot I’m reading a novel. That’s not an easy thing to do. I hope you’ll like it as well. I’m not that much into Philip Roth. I only read Nemesis, which I liked and The Human Stain which I sort of liked but forgot righta after finishing. What I liked about Teir is that he has several main protagonists and I enjoyed their parts. Franzen’s books are longish. I read it at a time when I didn’t mind so much. And it was actually a quick read. I’m very curious to hear what you think of Teir. Don’t let the first sentences put you off (You’ll see what I mean). It’s going to be published in French in January. Great discovery, apparently. Thanks for this. I know you like beautiful language – this isn’t one of those books (I just thought I need to say it again) but he capturess people really well. I hope you’ll like it. Some of the scenes were really great in my opinion. This does sound intriguing and I also like the cover very much. The only Finnish writer I’ve heard of is Ezra Pound, so this is a nice discovery. I still haven’t read Jonathan Franzen, but will get there eventually. Until I visited Finland last summer, I didn’t know that the country was bilingual (Finnish and Swedish) and that Swedish-speaking Finns consider themselves a separate ethnic group. All the street signs are in Swedish and Finnish. I wonder what the author thinks of the Finnish edition…the language is completely different from Swedish. I’m told Finnish is closer to Estonian! Is there more than one Ezra Pound? The only one I know of is the American poet. I was puzzled too but forgot to ask. No, my mistake. When I looked up Finnish writers, Ezra Pound kept coming up. Apparently, Finnish poetry in the 1950s adapted his tone and approach. Sorry about that! Finnish is said to be the most difficult European language – together with Hungarian I think, because they have 14 cases or something like that. And the origins are different from most other Europaen languages. I know that they learn Swedish in school. I thought it was an intereting book. A lot of the allusions to the culture were a bit lost on me as I’m not familar with all the implications. Even geographical. Franzen is captivating. At least The Corrections was. That was my problem exactly. He felt so entitled. Entitled even to have an affair. Bah. I really dind’t like him. I was worried after a few pages but the he switched and the other three narrators are women and he does get them right. There are other male characters, some are real jerks but some are truly nice. Teir is quite young, early thirties. i could imagine he’s had some problems with men the age of the narrator. I think last year when Richard hosted a readalong of Diadorim, people read in at least four different languages and the translations were so different. It’s extremely interesting. I would be great to do that again. I hope you’ll like it as well. I’m keen on hearing what you think of it. 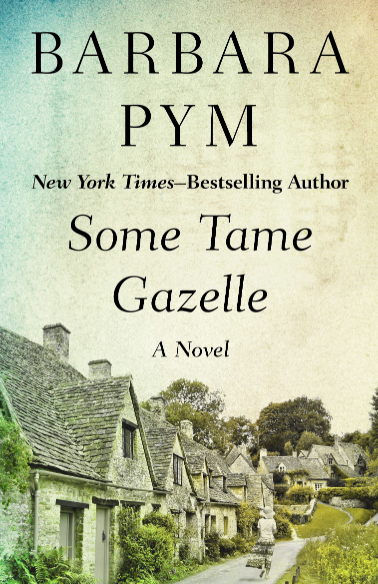 Though of course popular these books about families and the trials that they face in life are endlessly fascinating if done right. Doing it right has a lot to do with believable and complex characters. Families is something e can all realte to and were all interested to see how others cope/live. I guess why it’s so great when it’s well done. Beautiful review, Caroline. I have never read a Finnish author before. I am thinking this would be a good place to start. Looks like I am going to treat myself to a beautiful Finnish novel for Christmas 🙂 I loved your description of the book – “character-driven novel of ideas; just don’t expect stylish writing, elaborate descriptions or strong atmosphere” – so perfectly put. I love ideas, stylish writing, strong atmosphere. So, the book has something that I like. I love both the German and English covers of the book – so beautiful. 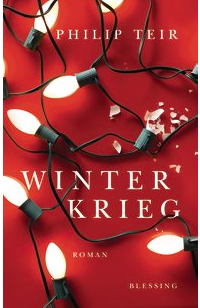 Though the German cover is a bit more Christmas-y (with a twist though – with that shattered bulb). I loved your description of Munken Premium paper. I love books with beautiful paper. One of my favourite books from that perspective is Nicole Brossard’s ‘Yesterday, at the Hotel Clarendon’. There are warps and wefts in the paper and it feels like fabric at times. It is so wonderful that I also love the book for what it tells with its words. I really wish that the English edition of Teir’s book also has Munken Premium 🙂 I have never read Jonathan Franzen. For some reason I keep thinking that he is pompous. I should stop judging writers and just read their works. I hope you will like it. Unfortunately, I’m not sure it’s avalibale yet. But it will be latest in January. The main part of the story takes place in winter around Christmas, that’s why I found the German cover matched really well. It’s the first time I notice such lovely paper. It’s very soft to the touch. I’ll pay more attention from now on but I don’t think I’ve ever come across this paper. it seems it’s a Swedish manufacturer. I didn’t think The Corrections was pompous but maybe that’s what he’s become in later books? I remeber I was really captivated by The Corrections. I enjoyed reading your review of this one. I’m planning to focus on my TBR for the next few months, but it’s always interesting to see what’s coming through. My experience with Franzen’s novels is a bit mixed; I liked The Corrections but couldn’t get into Freedom at all.. I want to do the same. I hope I’ll be able not to give in too often. I’ve only read The Corrections because the reviews of Freedom made me think I wouldn’t be too keen on it. Teir is an author to watch, I think. It sounds interesting, and frankly more so than Franzen (though I know many readers whose views I value who like Franzen, you I note included). The families in these books are always so middle class aren’t they? Always so international and well connected. That aside, the journalistic approach is an interesting one and could work well. I’ll definitely take a look. What brought it to your attention? I think he’s better than Franzen in many ways, although I wasn’t as averse as you. Finland was the guest country at the Frankfurter Book Fair and the book shops over here tend to order a hige amount of novels from the guest countries. I bought a few others but those haven’t made it into translation yet. THey are very middle class. Leftist middle class to be precise. It’s almost a bit of a parody. I was put off Franzen more by how he was marketed than by the writing, though the subject matter never much tempted. Still, possibly a little unfair to him. Leftist middle class, they so often are aren’t they families in literature? I wonder if it’s because authors tend to be from that sort of background. I suspect that that’s the reason. I found the way Franzen and some of the other authors around him were maketed pretty offputting as well. I’ve only read The Corrections.